Every Thursday we offer our Good Ole’ Burger & Fries for only $7 & a chance to win a FREE TV for locals and registered guests at campground or motel. The Bentley’s Devil draws the winning ticket Thursday night around 9 pm. 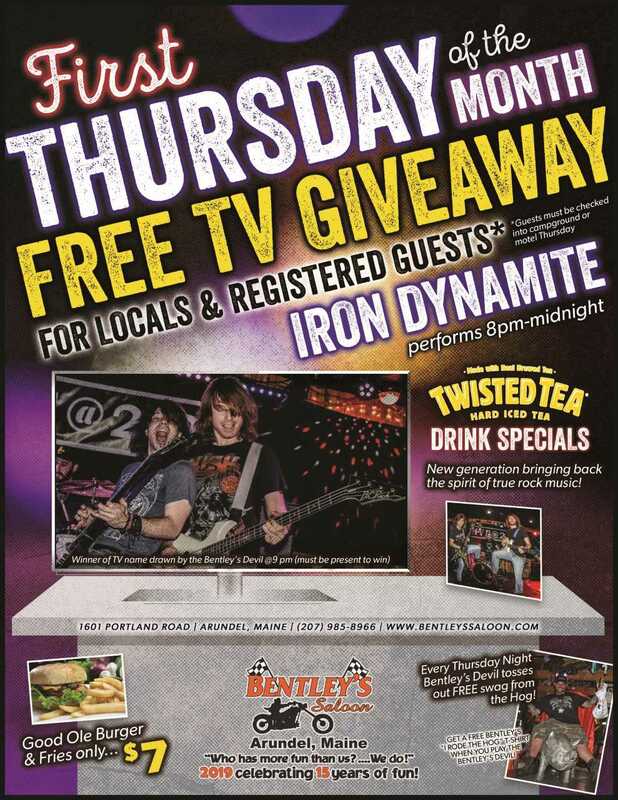 Young rockers Iron Dynamite perform 8 til midnight – new generation bringing back the spirit of true rock music! What about the Bentley’s Devil? Every Thursday he tosses out FREE swag from the Hog! Want to play the Bentley’s Devil? 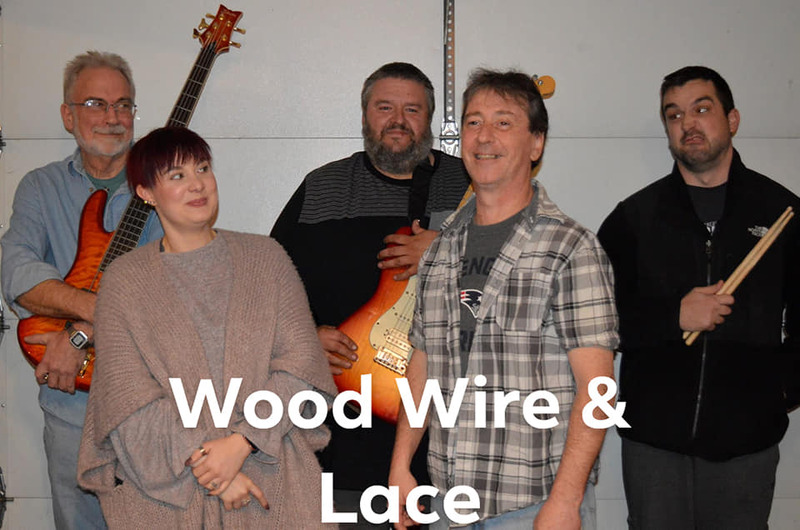 Sign up at the Gift Shop or call 207-985-8966 ext 0. 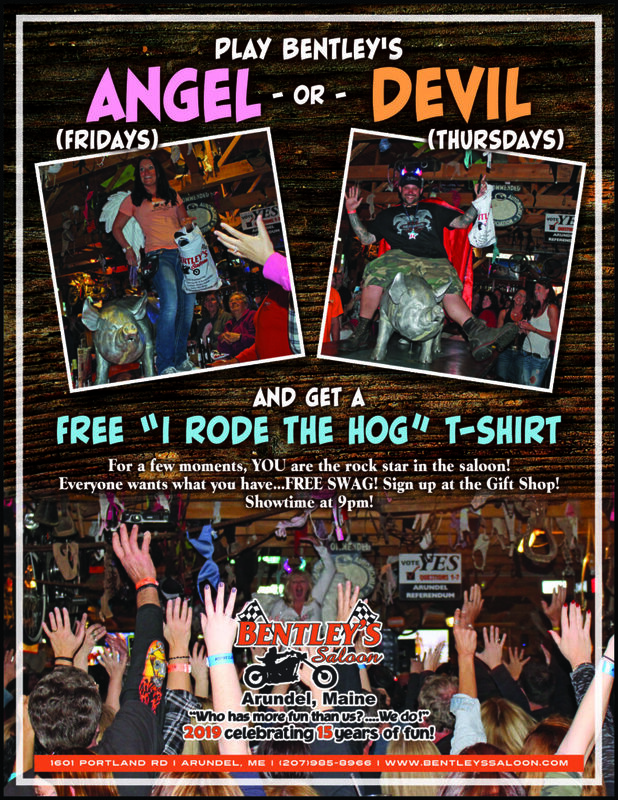 You get a FREE “I Rode the Hog” tee! !